2018 Bathroom Transformations: Which is Your Favorite? You may not realize it, but the bathroom is one of the most important rooms in your house. You begin each day there – applying makeup, styling hair, etc. – and you end each day there, too – brushing teeth, and perhaps enjoying a relaxing soak in the tub. Bathrooms aren’t merely functional, though. Bathtubs can serve as play areas for kids, and showers can melt the day away, leaving you calm and refreshed. 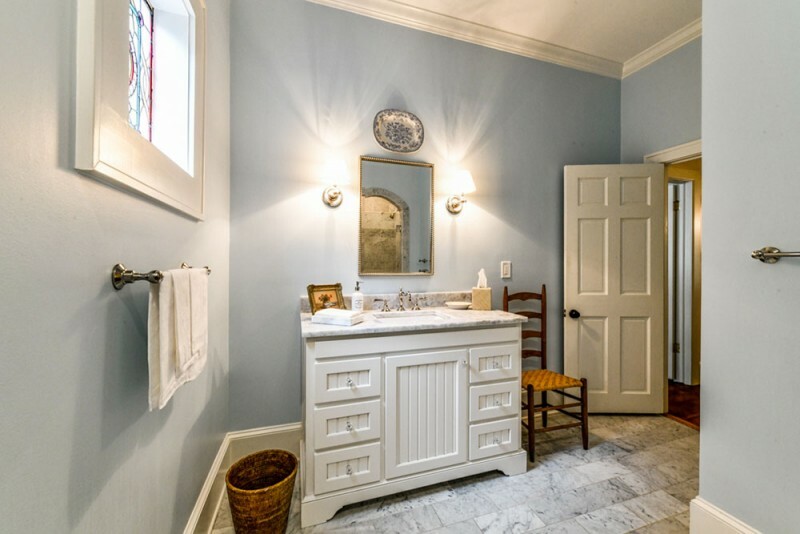 If bathrooms are such a focal point of daily life, shouldn’t they be beautiful, too? 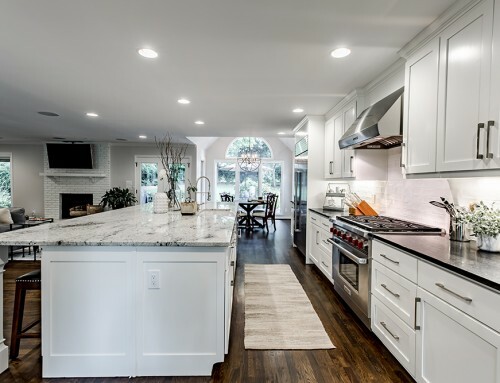 In 2018, we had the pleasure of designing gorgeous spaces for our clients that are both practical and aesthetically pleasing. 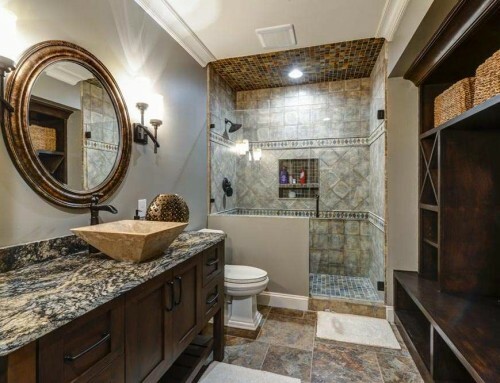 Have a look at the amazing bathroom transformations below and reach out to us when you are ready to turn your own bathroom into an oasis. 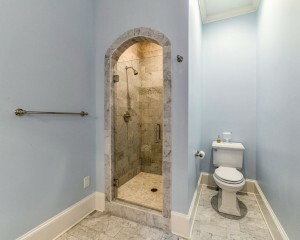 The arch in this shower’s entryway is so inviting and unique. And once inside the shower, you are surrounded by beautiful stone work – so pretty! This bathroom makes you feel as if you’ve just stepped into a luxury spa. Check out the ceiling –what a view while soaking in the tub. 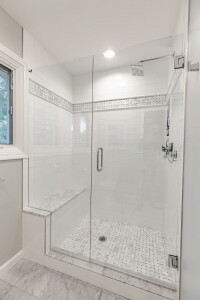 Look how open and airy this shower is. Its roomy design, along with gleaming glass doors, make it the perfect spot to unwind or get ready for the day ahead. 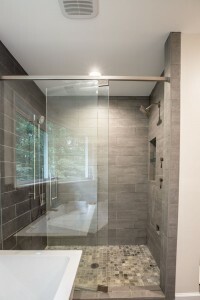 Here is another gorgeous shower. 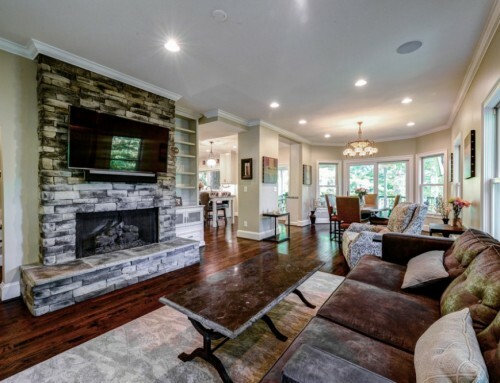 Check out the tiling on the floors. It is so warm and earthy, just waiting for you to step inside! 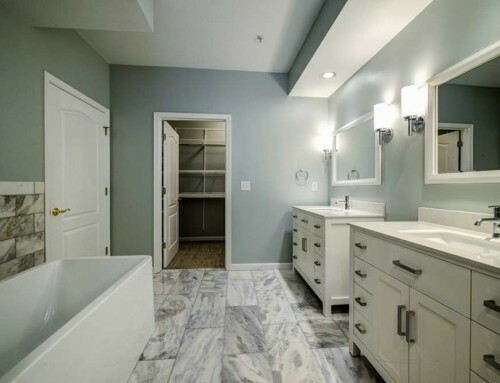 If looking at these bathroom transformations has whet your appetite for your own new bathroom designs, give us a call. We truly enjoy working with our clients, and we look forward to turning your vision into a reality. 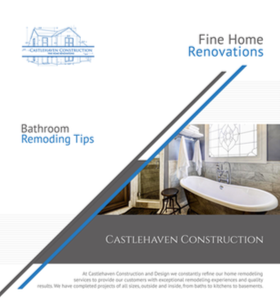 Castlehaven Construction and Design offers a wide range of residential construction services from single bathroom or kitchen remodeling to complete house renovation. 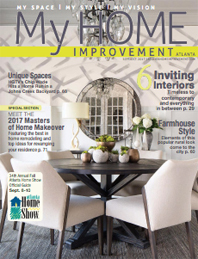 We proudly service the greater Atlanta area including Dunwoody, Sandy Springs and Buckhead.